First of all I wanted to say a quick thank you for your support on this blog. I am so happy that I have a place I can openly pour out my feelings about our struggles. I know this blog is pretty new and you may not have read some of the blog posts on my other blog. So today I decided to share a little bit about my feelings as a mom of a superhero. I want to preface this by saying that this is not what I pictured for my life. I guess no one does, and you don’t plan for this. God does plan for it, he had me picked out to be Carsyn’s mom way before he was born. I am not sure why he picked me but he did. I had a lot of resentment in the beginning. I asked a lot of why questions, even though I knew I wouldn’t hear or see the answer right away. I would get upset when I saw other kids his age or younger doing things that he couldn’t do. I became very emotional about all the things I pictured Dustyn & Carsyn doing together as brothers that I didn’t think they would ever get to do together. The other part of me was and still is scared. Sometimes these HPE (holoprosencephaly) kids just pass away in their sleep. No signs, symptoms or reasons. I pray every night that Carsyn will still be there in the morning. Even though this isn’t how I pictured my life, I could not picture my life without him. I am also concerned how that would affect Dustyn. This is another part of this whole journey that I have to trust God. Struggles are a part of life with superheros. You struggle with the physical problems, scheduling all the appointments, dealing with insurance companies, and all the feelings that come with it. All of these struggles are worth it when I see his sweet smile. Whenever we are out in public he makes everyone smile. Carsyn is such a sweet & happy boy. I think I am finally starting to realize why God put him in my life. 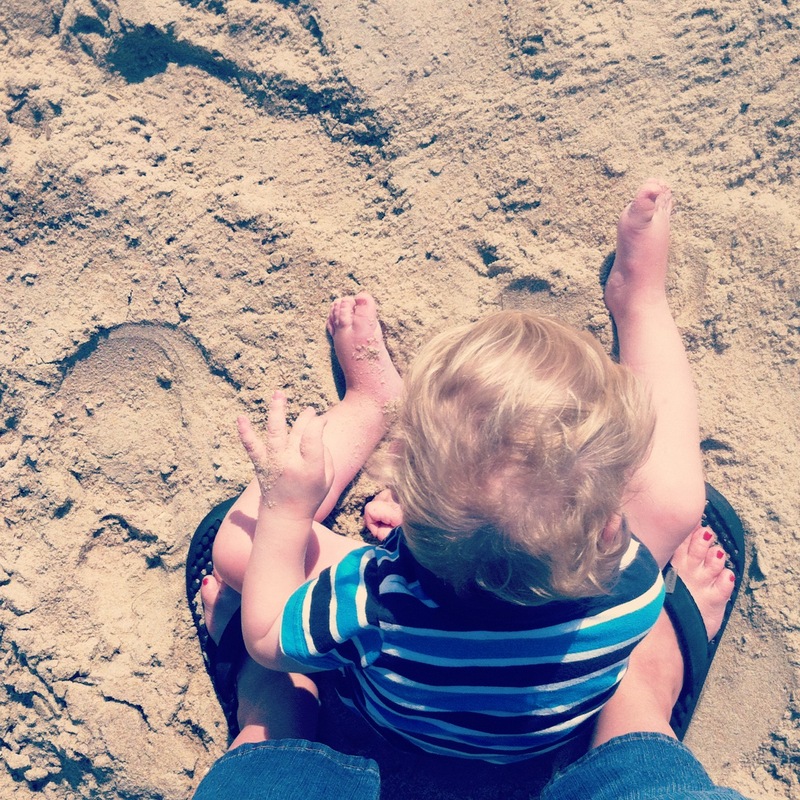 I am a blogger so I can share about his diagnosis online and he has also taught me to enjoy the little things and not to take anything for granted. My friend Whitney made this for me! I love it. Awww.. Sarah I am tearing up reading this. I think it is really great of you to start this blog. I think it will be great for you and the other families who just seek that support and understanding of what they are going through. Sharing such a journey is such a important, yet generous thing. Sarah like I’ve said before you make me so proud to be your big sister. Now stop making me cry!!!!! LOL You are an awesome mom & do an awesome job! Don’t ever forget it! Love you. Thank you sis! I love you too! Thank you for sharing more of your heart. I love seeing Carsyn’s sweet face and I can tell just in your posts that he is a huge blessing. It breaks my heart to know you have to pray that Carsyn will be there in the morning and that makes me want to join you in that prayer. Thanks so much Kim. I guess with any one you never know if they will be there the next day. So really puts things in perspective. I think it’s wonderful of you to share you story like this. It’s a perfect reminder to us all that life is precious and each day is a gift. 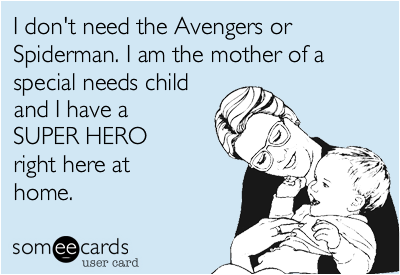 And I’m sure it will be a valuable resource for other superhero moms! By the way, I think you are a superhero yourself. I don’t know how you do it all, but you do it well!! Awww. Thank you Melissa. That is so sweet. We need to get together soon! I stumbled upon your blog through some others and so glad I did! I am a mom to two adorable superheroes as well! I just love your perspective and your entire blog! Can’t wait to catch some more upcoming posts!